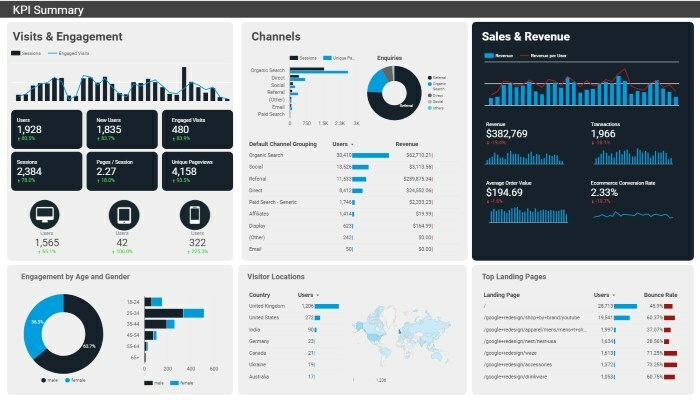 Supercharge your website reporting with our super impactful, highly accessible reporting dashboards! 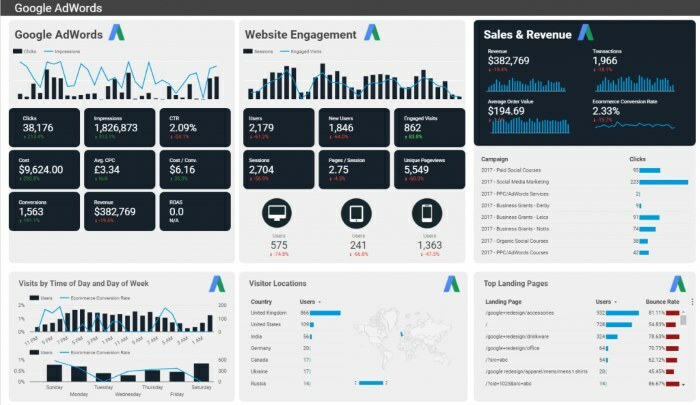 Data is at its best when its easily accessible and meaningful, that’s why we have created a unique set of Premium Google Data Studio Dashboards that pulls together the ‘must have’ data metrics from Google Analytics, Search Console and Google AdWords, allowing you to instantly get access to your data and share easily with others within your business. Google Data Studio helps turn your data into informative dashboards and reports that are easy to read, easy to share, and fully customizable. What’s more these dashboards are live and interactive allowing you control over your data. Dashboarding allows you to tell great data stories to support better business decisions. 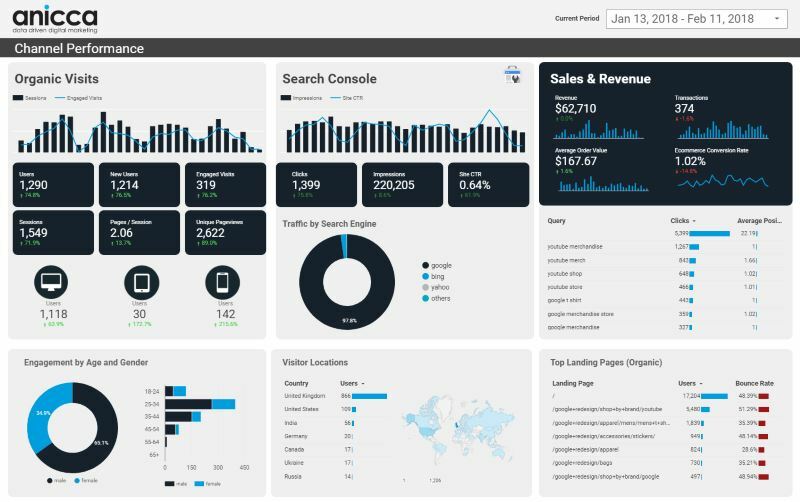 Please note dashboards are reliant on having Google Analytics data and access to other platforms such as Search Console or Google AdWords. 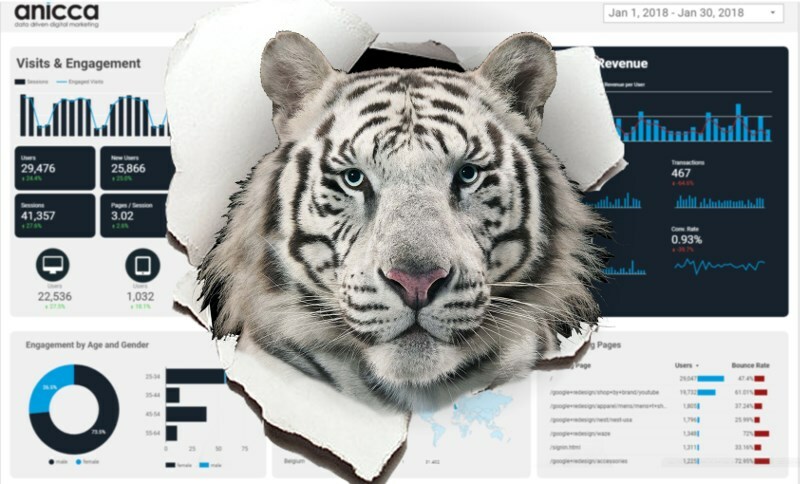 We can set up your own Data Studio dashboard with all these 10 reports included for a one-off cost of £800+VAT. Alternatively, we can provide you with custom reports based on your own needs and requirements. Contact us today for more information and a live demo.